Two women have passed the Army's Ranger School. They are the first females to complete the school. It is a very tough combat training program. 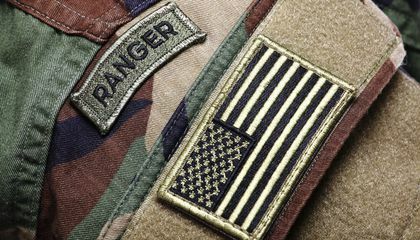 It means they have earned the right to wear Ranger tabs on their uniforms. The announcement was made by the Army's Ranger headquarters. It is in Fort Benning, Georgia. The women and 94 men passed the tough two-month course. It challenges their ability to get through tiredness. They also have to get through hunger and stress. They had to do it during pretend combat operations. Completing the leadership course lets the two women wear the much-wanted Ranger black-and-gold tab. But it does not let them become members of the Ranger regiment. Neither woman has been named by the military. 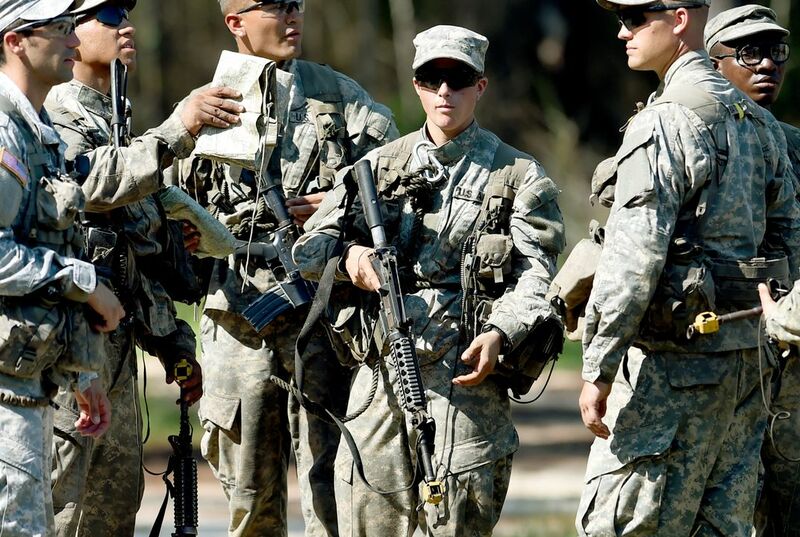 Allowing women to take part in the Ranger course is part of a military push. It wants to open more combat jobs to women. But the toughest jobs remain closed to female soldiers. Those include the infantry. It also includes armor and special operations jobs. And it includes the 75th Ranger Regiment. Being a Ranger means needing more schooling. It is physically and mentally challenging. To make it means you have to pass a number of tests. Former Army officers such as Sue Fulton praised the news. She was one of the first women to graduate from the U.S. Military Academy in 1980. It is located at West Point, New York. Fulton believes it is another milestone toward ending gender barriers in the military. "This answers whatever questions may still remain about whether women have the strength and the will and the physical courage to become combat leaders," Fulton said. She is a former Army captain. Now she chairs the West Point Board of Visitors. It is an advisory panel. The panel is made up of presidential appointees. It also has members of Congress on the panel. "Each Ranger School graduate has shown the physical and mental toughness to successfully lead organizations at any level," Army Secretary John McHugh said. "This course has proven that every soldier can achieve his or her full potential. Regardless of gender." The Ranger school lasts 62 days. It includes three phases. Each is in a different part of the country. They include wooded areas of Fort Benning. The Appalachian Mountains of North Georgia are included. So are swamps in Florida. The first 20 days focus on military skills and endurance. The mountain phase is held near Dahlonega, Georgia. It includes more small-unit operations. It also has survival techniques. The final so-called swamp phase takes place in Florida. There are an airborne assault tests. There are amphibious operations. All of this is happening during extreme mental and physical stress. Female soldiers were held to the same physical standards as men. The standards included passing a fitness test. The test included 49 push-ups. The soldiers had to do 59 sit-ups. They had to do six chin-ups. They had to finish a 5-mile run in 40 minutes. Graduates also had to do a 12-mile foot march. They had to finish it in three hours to pass. They also needed to finish three parachute jumps. They had to finish four air assaults on helicopters. They had to do all of that while going through 27 days of mock combat patrols. When your not only tough in your body, your tough in your mind. mental toughness is having the will to keep going because it is all in your head, you can do anything if you believe in yourself. mental toughness is a collection of attributes that allow a person to persevere through difficult circumstances such as difficult training.